They called it ‘The return of the kings’. From the 2nd till the 4th, JYJ held their successful ‘The Return of the JYJ’ concerts at Tokyo Dome, ‘the heart of Japan’. According to C-JeS Entertainment, 300,000 people applied for tickets before reservations began. Only 150,000 tickets were given out, with the concert selling out instantly. The cost of one ticket was 10,500 Yen. When this is converted to Korean currency, each ticket costs approximately 130,000 Won. If we take this into consideration, this means that JYJ earned 19.5 billion Won in ticket sales alone. MD goods were sold in sets of towels, t-shirts and fan-lights, costing 100,000 Won. Even the goods that were sold separately at cheaper prices sold out like hotcakes. Fans gathered near Tokyo Dome from 6am to purchase the goods. 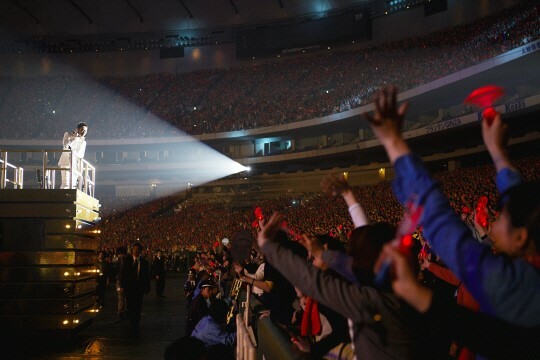 On the second day of JYJ’s concerts, a special guest arrived at Tokyo Dome. It was Seol Gyung Goo’s ex-wife and daughter. According to a representative, they went to JYJ’s concert together. Seol Gyung Goo recently called C-JeS Entertainment’s CEO Baek Chang Joo and personally asked for a concert ticket for his daughter, who is a JYJ fan. Thanks to his daughter, Seol Gyung Goo has become close friends with CEO Baek. 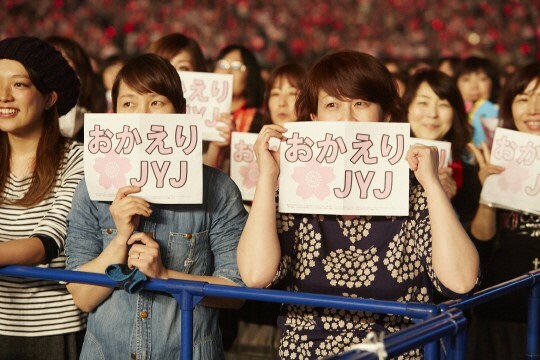 JYJ’s last concert was screened live in various cinemas across Japan for fans who were unable to get tickets. The concert was shown in 113 cinemas in Japan, including Japan’s biggest cinemas TOHO Cinema and Warner Mycal Cinema.